Two people, one dream...with the past riding hard on their heels. When India Kilhampton is caught up in the heart–stopping excitement of the first Melbourne Cup her mind is made up. She will breed a horse to win the coveted trophy and reunite her fractured family. Determined to make her dream a reality she advertises for a horse breeder. Jim Mawgan arrives at Helligen Stud in the Hunter Valley to take up the position. Jim however, has a mission: he must fulfil his father's dying wish to right past wrongs and prove his ownership of the prized stallion Jefferson. Jim and India discover they share a common goal but as the secrets of the past unravel old enmities surface. 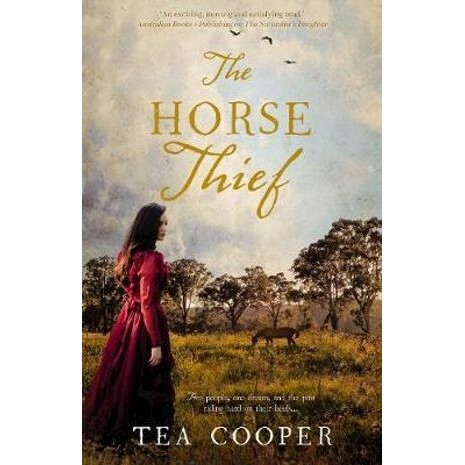 Although betrayed, will India save Jim before he is branded a horse thief and sentenced to death?